Finding optimal paths for self-driving cars in cluttered environments is one of the major challenges in autonomous driving. The complexity stems from the nonlinearity of the system and the non-convexity of the configuration space. This paper introduces a novel extend function called Hybrid Curvature (HC) Steer for sampling-based nonholonomic motion planning in tight environments. 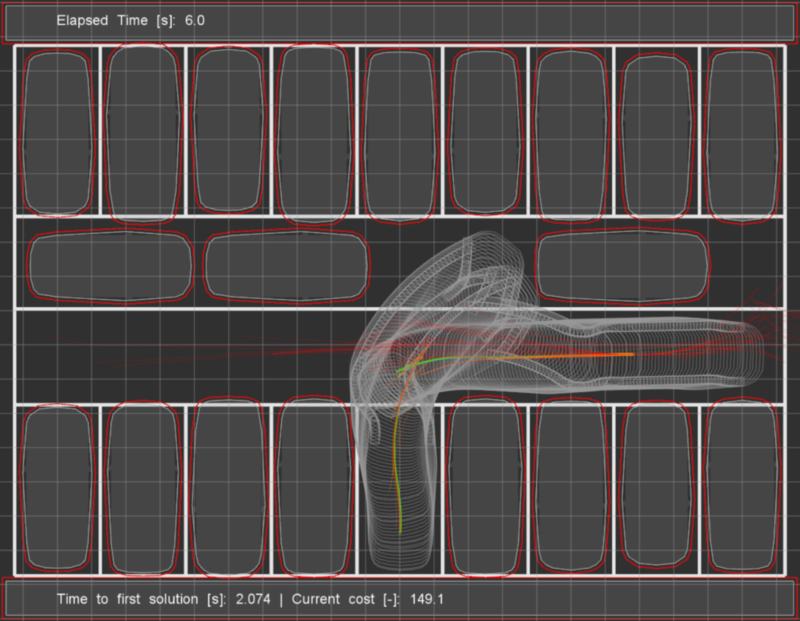 HC Steer solves the two-point boundary value problem by computing continuous curvature paths while the vehicle is going in one direction, but allows curvature discontinuities at switches in the driving direction. The resulting paths approximate Reeds-Shepp’s paths and are directly drivable by an autonomous vehicle. BiRRT*, an optimal sampling-based motion planner, is used to evaluate and compare HC Steer’s performance to state of the art steering functions, namely Reeds-Shepp (RS) and Continuous Curvature (CC) Steer. Extensive experiments in challenging environments show HC Steer’s advantage of computing smoother paths than RS Steer in equally tight environments and finding solutions with less direction switches, higher success rates, and shorter planning time than CC Steer.